Do you like Doritos? Or the Super Bowl? Or Lonely Island? Or free HDTVs? If you answered yes to any or all of the above, keep reading, man. MANjr is teaming up with Doritos to giveaway a 32-Inch LCD HDTV. 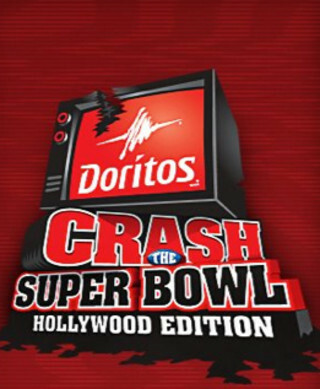 The giveaway is a tie-in to a much more ridiculous challenge, the Doritos Crash the Super Bowl contest. Doritos is currently accepting 30-second video submissions, Super Bowl commercial spot style. The rules are pretty simple. You just upload a 30 second commercial clip that expresses love for Doritos. If you visit the Crash the Super Bowl website, there’s a section that gives you tips and a toolbox where you can download product shots, logos, animations and music to use in your commercial clip. Why would you bother helping Doritos out with commercial ideas? Well in January, Doritos is going to announce five finalists and put it to an online vote. The first place finisher that’s selected will get $25K and a trip to Super Bowl XLVI in Indianapolis, where they’ll see their commercial go head-to-head against a Doritos commercial created by The Lonely Planet. If the finalist’s commercials scores No. 1 on the USA Today Super Bowl Ad Meter, that person will receive one million dollars and a chance to work on a future Doritos project with The Lonely Island. If The Lonely Planet scores No. 1 on the Ad Meter, those dudes will get a million to donate to their charity of choice. Here’s the kicker: the deadline to submit your clip is November 21. That’s really soon. So you better scratch your weekend plans and put something together – action, drama, funny, whatever, just as long as it’s unique enough to get recognized. 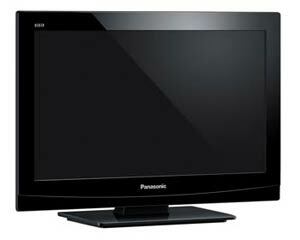 So what do you have to do win the MANjr 32-Inch Panasonic Viera LCD HDTV giveaway? Just follow us on Twitter and tell us which previous Doritos Crash the Super Bowl commercial was your favorite. We’ll select a winner at random next Thursday, November 24. Good Luck! Print article This entry was posted by Chris Stout on November 17, 2011 at 10:19 am, and is filed under Entertainment. Follow any responses to this post through RSS 2.0. Both comments and pings are currently closed.